Research shows that ‘forest bathing,’ the practice of spending time in a wooded area is good for your mind, body and spirit. If you’re anything like us, chances are you spend a lot more time inside — tapping away at a computer and hunched over your phone — than you do basking in the great outdoors. But if you want to de-stress, consider becoming a little more one with nature. After all, it does have some pretty neat health benefits. “Being outdoors is generally associated with activity, and being physically active keeps joints loose and helps with chronic pain and stiffness,” says Jay Lee, M.D., a physician with Kaiser Permanente in Highlands Ranch, Colorado. Plus, when you exercise outside (whether you go for a hike, run, ski or opt to do something else), you have to disconnect from your phone — and that allows you to focus on yourself and what you’re doing, says Francis Neric, senior director of certification for the American College of Sports Medicine. You’re also less likely to pick up a virus, since you’re not breathing in the same recycled air as everyone else quite as much. “Cold and flu happen in the winter because people are huddled indoors, where you’re more likely to be exposed to those viruses,” says Lee. 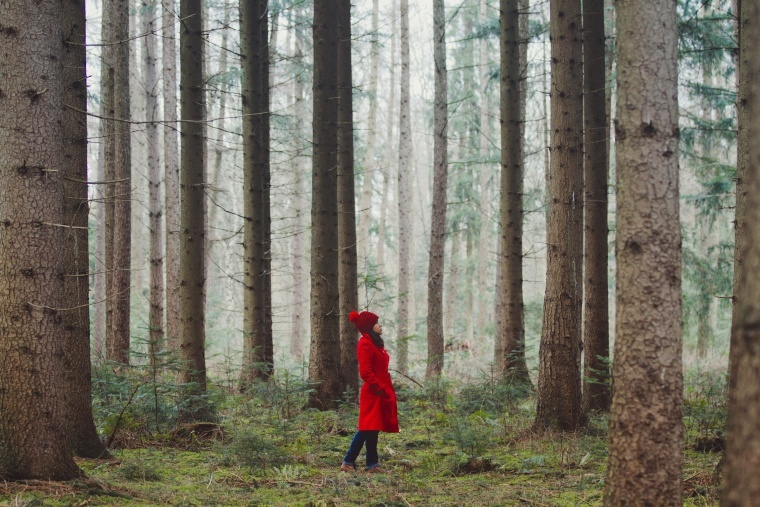 Research has shown that ‘forest bathing,’ the practice of spending time in a forested area in an effort to reap wellness rewards, is pretty darn good for you. That may explain why this Japanese trend is catching on stateside. A 2010 study published in Environmental Health and Preventive Medicine, for example, found that participants who walked in a forest had lower blood pressure and levels of cortisol (a.k.a. the stress hormone) afterwards than those who strolled through a city environment. Hope Parks, the wellness manager at Blackberry Farm in Walland, Tennessee, runs the resort’s three-year-old Deep Healing Woods program. It was inspired by traditional forest bathing, or Shirin-Yoku. Visitors can sign up for a hike, run or yoga or meditation session (all activities are done solo and last 90 minutes). “We focus on allowing nature to awaken the senses,” she says. When you take a walk or hike through the woods there — sans any technological distractions, since service is spotty — you’re likely to take in even the smallest of details around you, says Parks. “And if you close your eyes, you can hear creeks more deeply,” she adds. Goren says that the focus on quietness helped her feel part of the larger natural community — and she felt more relaxed and had an easier time focusing once the walk was over. You don’t need access to a forest to get in on the fun — any green space will do. Just make sure to take a few precautions before venturing out on your own. 2. Protect your skin and body. “You want to get the exposure for the vitamin D, but that comes with an increased risk of skin cancer, so apply sunscreen to exposed areas and wear a hat,” says Lee. You may also want to spritz on bug spray and wear long sleeves depending on your location, says Neric. And if you're exercising in the cold, dress in layers and protect yourself from rain, snow and wind. 3. Wear the right footwear. While physical activity has many health benefits, one of the negatives is that it can increase musculoskeletal pain if you don’t use the right gear, says Lee. “If you’re walking or running, make sure you’re wearing comfortable shoes or boots,” he says.